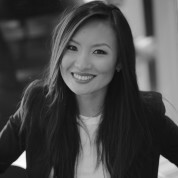 Jennifer Zhu Scott is the Founding Principal of Radian and Radian Blockchain Ventures. Prior, she was head of business development and strategy in APAC for Thomson Reuters. She co-founded one of the first education companies in China and sold her shares when she was 26 before moving to the UK as a senior advisor to the education subsidiary of Daily Mail & General Trust. Jennifer is a judge for New York Design Awards, London Design Awards and an Academy Member of Global Teacher Prize. In 2014, she was appointed as one of the 18 council members of China Council convened by the Global Agenda Council, the World Economic Forum’s think tank and was reappointed to be one of the 20 The Future of Blockchain Council in 2016. In 2013, Jennifer was honored by WEF as a Young Global Leader. Jennifer studied Applied Mathematics at Sichuan University and holds an MBA in Finance with Manchester Business School. In 2013, she completes the public policy and leadership program at Yale University and at Harvard Kennedy School in 2014. Jennifer is a China Fellow of Aspen Institute and a permanent member of the Aspen Global Leadership Network. "Education helped me to break barriers and remains as an important part of my career and passion. Without the encouragements, challenges, and inspirations by all the enlightened and courageous teachers I have so fortunately encountered, I would have never arrived at the place I find myself now. The mission of The Global Teacher Prize is critical to our future generations, thus it is an honour to support."